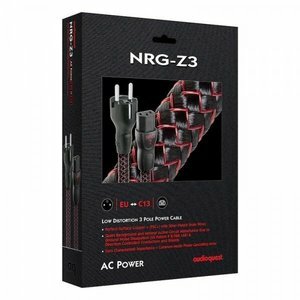 AudioQuest NRG-Z3 Powerkabel - Hi-Stands webshop! 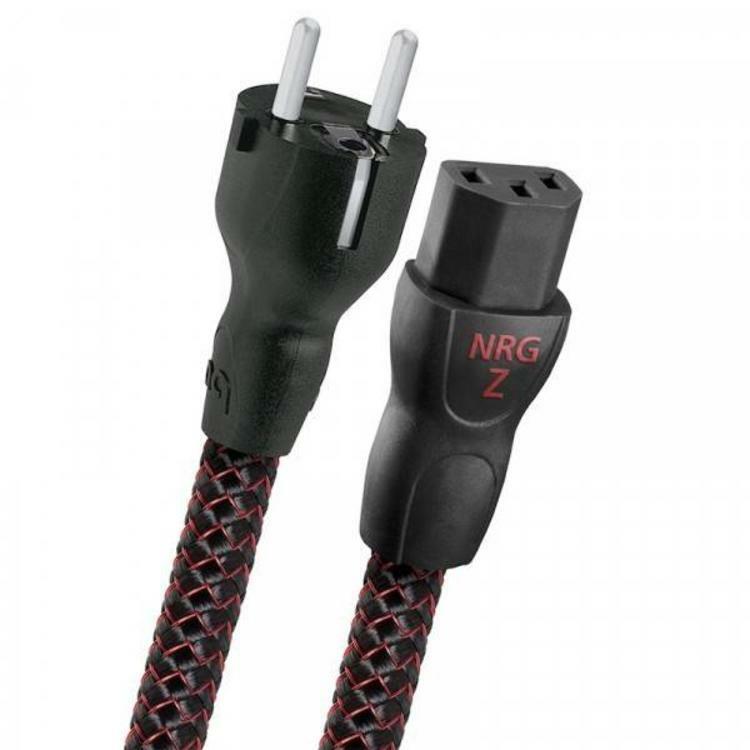 Ideal for video displays, powered speakers, and all electronics, NRG-Z3 (3-pole) cables use direction-controlled Perfect-Surface Copper (PSC) conductors in a Semi-Solid Concentric arrangement in which the individual copper strands are packed more tightly and never change position within the bundle. This construction significantly reduces strand interaction distortion. The astonishingly smooth and pure Perfect-Surface conductors minimize distortion caused by grain boundaries and surface discontinuities that exist in any metal conductor. 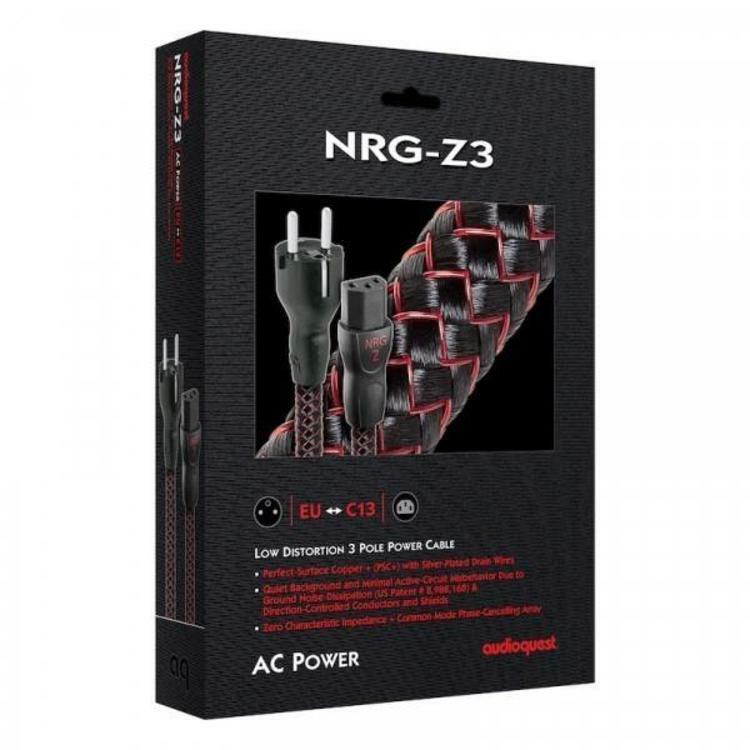 In addition, NRG-Z3's direction-controlled silver-plated shield conductors efficiently drain RF noise to ground. In a Semi-Solid Concentric arrangement, the conductor strands are packed more tightly and never change position within the bundle. This construction significantly reduces strand-interaction distortion. The high-purity and smooth-surface PSC conductors minimize distortion caused by the grain boundaries that exist within any metal conductor.